Watching for Puppies at Hogs N Dogs! | Hupy and Abraham, S.C. Watching for Puppies at Hogs N Dogs! 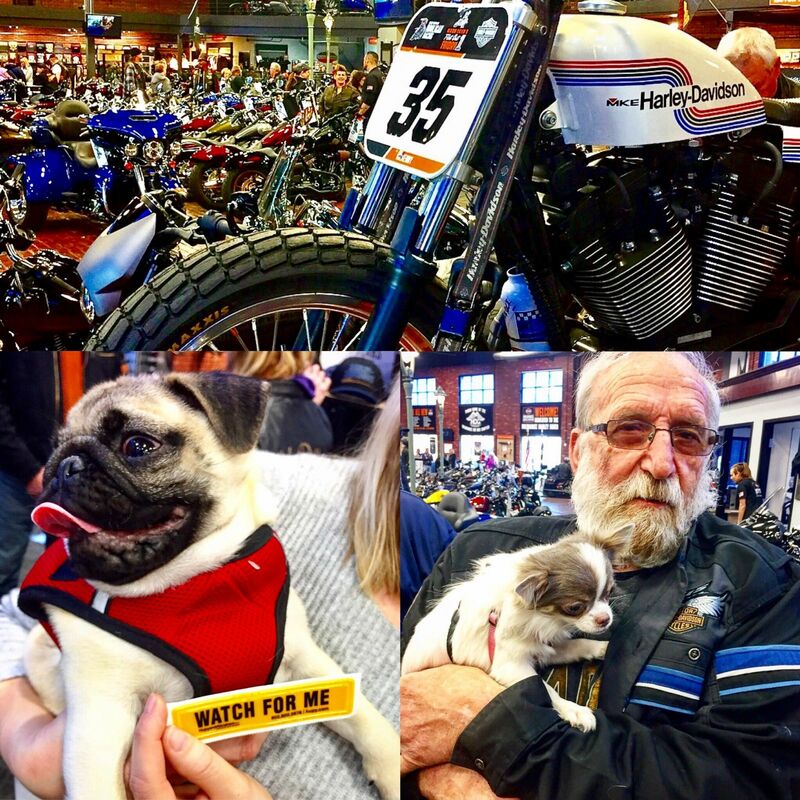 We had SO much fun at Milwaukee Harley-Davidson’s Hogs N Dogs event this weekend! 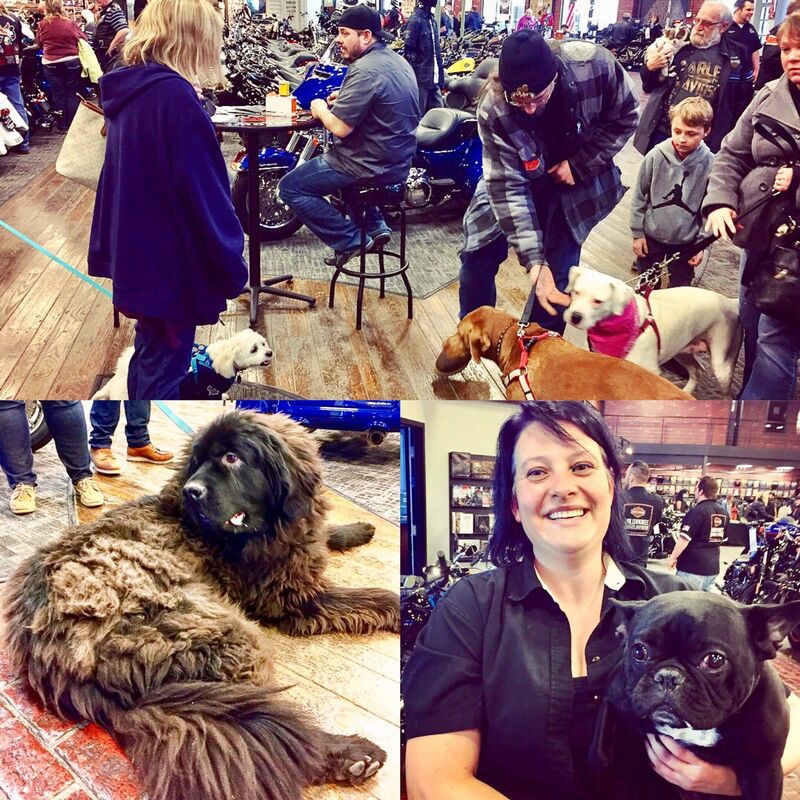 During this great spring event, the Milwaukee area dealership offered free dog treats from Exclusively Pet, Inc., while pet owners were encouraged to buy swag and hot dog lunches to benefit “Rolling Thunder” Wisconsin Chapter 2. Everything from bouncy boxers to curious corgis were in attendance, and it was a great chance to meet new canine friends and get some FREE swag! We were thrilled to bring our brand-new “Watch for Me” reflective stickers for our furry friends, the perfect safety addition to everything from dog collars to bicycles and backpacks. 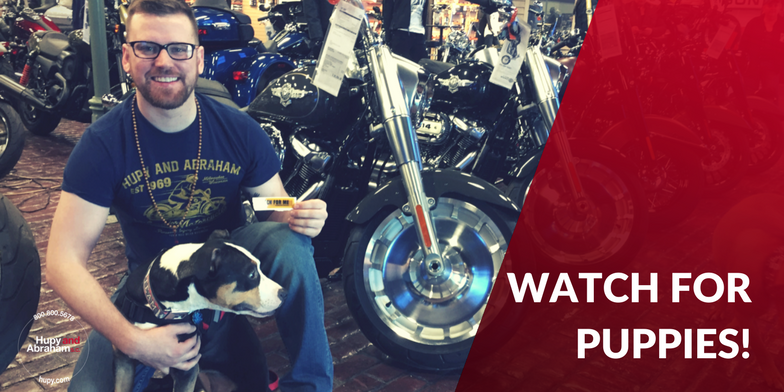 If you missed Hogs N Dogs at Milwaukee Harley-Davidson this time around, don’t fret! Check our motorcycle events calendar regularly to catch more fun things to do like this all over WI, IL and IA!